Social media channels are a fast growing method of communication in many countries. Arabic nations are no exception here. 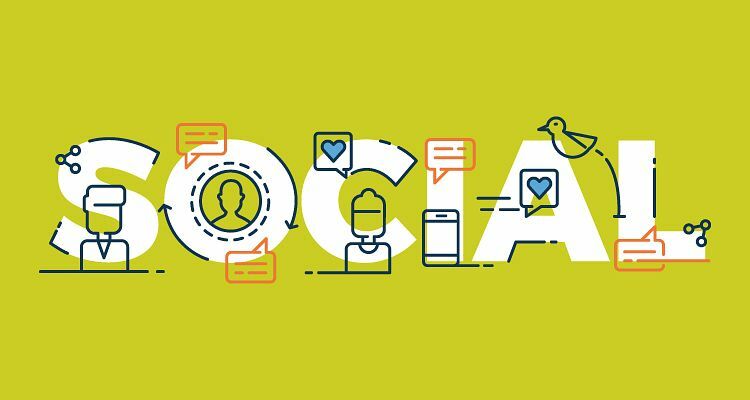 The use of social media networks is helping businesses and organisations grow and expand their reach. Social Media Use in the Arab World? Sources such as the Arab Social Media Report (ASMR) have found the main use of social media by Arabs is to connect with people and then to gain information, watch video clips, listen to music and share photographs. This is not hugely different to the use of social media in more western countries like the UK and Europe. The rise of Arabic social media continues and today around 39% of the Arab World's population use it. The audience is dominated by the youth audience, accouting for over two-thirds of users. Interestingly, Arabic only recently became the chosen language for most Social Media users. It account for 55% followed by English. On an average, Facebook reports 55% Arabic users, while 72% of all tweets in the region are now in Arabic. This trends has huge implication for the way businesses and organisations engage with each other and the community. One thing that hasn't changed about Arabic Social Media, is the large gender gap in users. Women's precense on Social Media is alarmingly low, it currently stands at 1 woman for every 2 men. The lack of participation on digital platforms from females will make it incresingly difficuly to reach a balanced audience. Analysing usage trends, patterns and demographics of key social media platforms across the Arab world, the findings show that most social media users in the region (58 percent) already express their views on government policies through these platforms. As you can see there are certain trends and patterns you can take advantage of to creating more effective social media campaigns. But which social networks should you be targeting? Facebook is by far the most popular social network in the Arab World. In 2017 it boasted a growing audience of around 156 million users. Stats show that the highest uptake is in Qatar and the UAE with penetration rates of almost 95% respectively. There are several ways in which businesses and organisations can use Facebook as a platform for promoting their services and reaching more people in the Arabic world. To get started you need to set up a Facebook company page in Arabic and to regularly post interesting content aimed at your Arabic audience. Ensure your posts are relevant to the Arabic market and culture, as well as the individual Arab users by the countries you are targeting. You can also take advantage of Facebook paid ads to help target particular audiences groups and grow your following. Twitter boast the second largest social media audience in the Arab World. Standing at around 11.1million in March 2017, the network has seen rapid growth over the past three years almost doubling in stature. Over the past few years and with the increase of users, the monthly tweet volume has increased considerably. In just two years the volume has rocketed by more than 59% to 850million tweets per month. It's interesting to note that over half the tweets generating in the Arab region, stem from Saudi and Egypt. This is certainly something you should factor into your preparations before investing in any Arabic Twitter campaign. Its important to note, that arabic is currently not an accepted language for twitter ads, but there are rumours that this will be changing very soon. In the meantime, English twitter ads can be used to engage with an Arab audience. English is the second most common langauge, accounting for around 16% of all tweets in the Arab World. If you are looking to reach out to the Arab marketplace or improve your current efforts ExtraDigital can help. We have many years of experience in Arabic Web Design and Arabic Marketing. Contact us today on +44 (0) 1227 68 68 98 or tell us more about your plans below. N.B.All statistics here are taken from the Arab Social Media Report, you can read it here yourself -The Arab Social Media Report, 2017.